Various commentators have postulated that President Donald Trump parlayed the discontent and racism of the white working class into a surprise electoral victory. Downscale whites, the story goes, were open to Trump’s message to “make America great again” slogan because they no longer had access to good-paying jobs and had seen their standard of living decline severely. As one result, Democrats in Congress have been frantically looking for ways to win over the low-income, under-employed white working class. Of particular concern are non-college educated whites, who made up 48 percent of those who voted for Trump, according to calculations based on CNN exit poll numbers. But this would be an incomplete strategy at best. What really happened in 2016 was a revolt not just by the white working class but by the white middle class against their relative stagnation compared to white elites. As argued in this earlier piece, the size and economic impact of the upper middle class and rich have grown dramatically from 13 percent of adults in 1979 to 31 percent in 2014. This growth is also compounded by a growing income gap between the upper middle class (those with incomes over $100,000) and the rest of the population. Consequently, the upper middle class and rich went from controlling 30 percent of all incomes in 1979 to 61 percent in 2014. While households in the white middle class understand that they have access to things that their parents didn’t have (better cars, bigger houses, longer lives, and many gadgets (e.g., better health care, HDTVs, computers, access to the internet, smart phones, etc. ), they know they don’t live as well as those in the upper middle class. Nor have their fortunes improved to the same extent. Trump voters are better off than Clinton voters. First, note that voters as a group are better off than the entire adult population. While only 33 percent of adults had a four-year college degree, fully 50 percent of the electorate was college-educated. The median income for all voters was $66,000 (my calculation from CNN exit poll numbers), while Trump voters were slightly wealthier than Clinton voters (the median income of Trump voters was $69,000 versus $63,000 for Clinton supporters). Just 1 in 6 Trump voters was a non-college-educated white earning less than $50,000. Breaking down the Trump vote by income reveals that Trump got 31 percent of his votes from people in households with incomes under $50,000 (which I have called elsewhere the “poor,” “near poor,” and “lower middle class”), 34 percent from those with incomes between $50,000 to 100,000 (my definition of “middle class”), and 35 percent from those with incomes above $100,000 (my definition of “upper middle class” and “rich”). Some might think that most of the 31 percent who voted for Trump with incomes under $50,000 came from whites who lost their manufacturing jobs and had trouble finding comparable employment. But they would be wrong. Clinton bested Trump among voters in households with incomes below $50,000 by 12 percentage points. This lead could only have occurred if the number of non-college-educated whites in this income range – who voted overwhelmingly for Trump – is relatively small. Since the raw exit polling data aren’t public, estimates of the distribution of these 31 percent can be made on the basis of demographic data and voting patterns of the different populations. A likely division is something like this: 7 percentage points of the 31 percent were elderly whites; 8 percentage points were college-educated whites; 12 percentage points were non-elderly, non-college-educated whites; and 4 percentage points were non-whites. This division is consistent with the voting patterns and the income levels of each of the populations and results in Trump winning whites with incomes under $50,000 by 20 percentage points. Clinton got more votes among those with incomes below $50,000 because 37 percent of this group was non-white and she won them by 67 percentage points. All told, this means that one-sixth of Trump voters were non-college-educated whites in households with incomes below $50,000 (assuming that 70 percent of the white elderly Trump voters in this income range do not have a college degree). By contrast, nearly one-third of Trump voters were non-elderly, non-college-educated whites in households with incomes of $50,000 and higher. Finally, it should be noted that Trump only got 51 percent of the “working class” vote because the 32 percent of non-college-educated voters who were non-white voted overwhelmingly for Clinton. What this means is that non-white people who are more likely to be in the bottom rungs of the working class voted for Clinton while the white working class – who tend to be in the upper rungs of the working class by income – voted for Trump. A majority of non-college-educated Trump voters work in white collar or middle skill jobs. Another pervasive assumption is that most of the non-college-educated whites who voted for Trump are unemployed factory workers or coal miners. In truth, many of these people have reasonably good jobs as supervisors or work in skilled blue collar jobs, government and other white collar industries. Among white men with some college, for example, 24 percent in 2014 worked in high-paying managerial and professional jobs while 45 percent were in middle-tier jobs such as technicians and white collar supervisors. 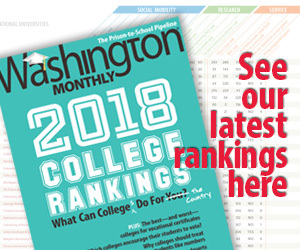 According to forthcoming research to be published in March, 15 percent of white high school-educated men worked in managerial/professional jobs in 2014 while 45 percent were employed in second tier jobs. This is not to say that the resentments of the white middle and working classes – even if they are largely aimed at the white elite – aren’t also racially tinged. This has led to a new phenomenon of whites feeling themselves to be the victims of discrimination. As Arlie Hochschild argues in Strangers in their Own Land, non-college educated whites feel that others have “cut into the line” ahead of them unfairly – even though they still have much higher earnings compared to African-American and Hispanics with the same level of education. What’s actually happened is that the women and people of color now getting the top managerial and professional jobs are better educated, with bachelor’s and graduate degrees. The feelings of discrimination felt by whites thus reflect a subtle form of racism – i.e., a belief that women and people of color didn’t truly “earn” their degrees and were helped along by affirmative action. Democrats in Congress thus have a formidable challenge ahead. But recognizing the true nature of the problem points to a different set of solutions than a singular focus on the downscale white working class. One significant consequence for progressives is to understand the extent of the resentment Trump voters feel toward the white elite. These voters likely feel like they are fighting a losing battle and are putting up a last stand to defend their way of life. They watched a recovery over the last eight years that bailed out banks but did little for them. While the ranks of the upper middle class seemed to swell, their ability to join their more prosperous neighbors seemed to recede further. Trump’s resentment-filled rhetoric resonated with these voters, who felt they had been unfairly deprived of the spoils of the global economy. However, Trump’s programs have little chance of giving his non-college-educated constituency the results they seek. It will be interesting to see what they do when his promises turn out to be the same kind of exaggerated claims that politicians of both parties have given them in the past.